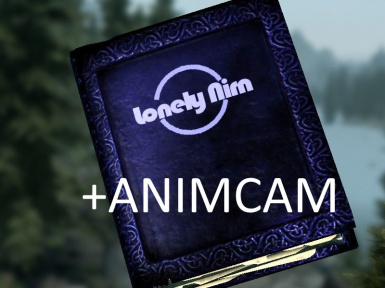 A simple modification to the script for Lonely Nirn which enables Animcam during auto-travel. All credit for the original source of this script goes to the original Author of Lonely Nirn, Acid Zebra. My mod is simply a small modification of one script. Uploaded by request, this a simple change to the QF_autotravelquest script from Lonely Nirn. What this does is toggle Animcam on when Lonely Nirn's auto-travel begins, and then toggles it off when auto-travel stops. Try zooming your camera in and out of first person a couple times before starting Lonely Nirn travel. After testing this with my most recent set up, the camera refused to go into Animcam before I zoomed in and out first. This may be caused by having other camera mods, such as Immersive First Person View installed. Currently investigating. See the original mod page.